In 1825 Turner embarked upon a major series of topographical watercolours commissioned from Charles Heath for reproduction as line engravings. 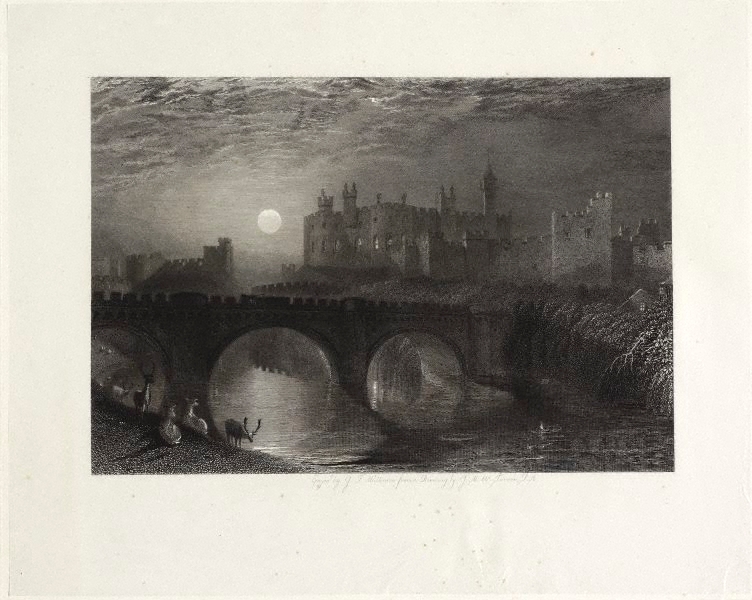 By 1838, when the venture cam to an end, 96 of Turner’s watercolours had been engraved for the ‘Picturesque Views in England and Wales’. Turner never worked on the copper plates himself but he maintained obsessive control over work on the prints ensuring the quality of every detail and effectively training a generation of engravers to see his watercolours in terms of black and white lines.